March is soon coming to an end but I am really looking forward to an exciting month of April. Why is April so exciting for me? Well, that is because I have three upcoming workshops in April, which I anticipate that I will learn a lot from it as well as make full use of it to propel me forward in both my passion and my career (sad to say sometimes that my career may not be my passion). Right after that workshop, I will arrive in KL on the 14th of March and the next day I will be off to Bandar Utama for another workshop from the 15th till the 18th of March. This time it is an SAP workshop held at IBM. Also interesting as I will be considered rather fresh in that topic in regards to DB2 usage but I am always eager to learn more. 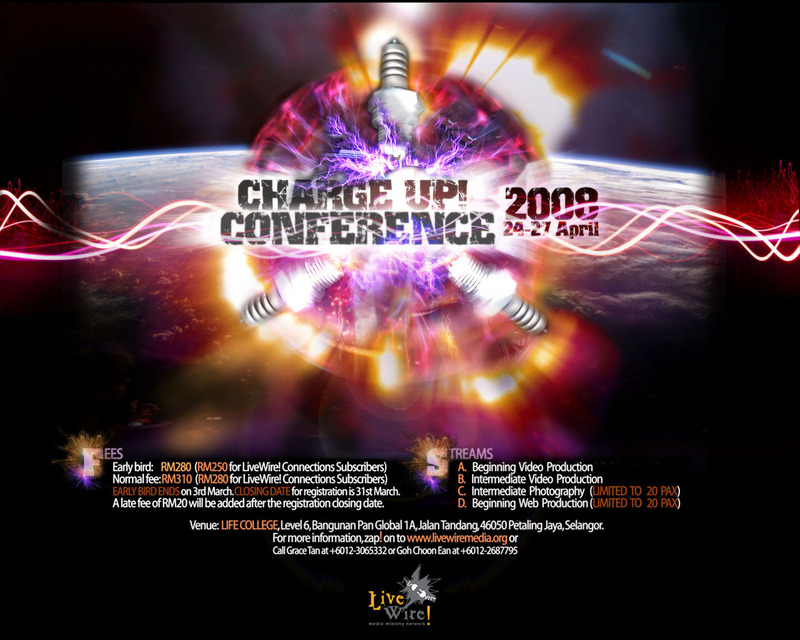 At the end of April, I would be attending the annual Charge Up conference which I attended last year. Really looking forward again for this year’s conference where Louis Pang will be conducting the Photography stream for 4 days! This format is slightly different as compared to last year where it was held from Friday night and over the weekend where I actually missed the ending of the conference. This time, I am making sure that I am available through all 4 days. 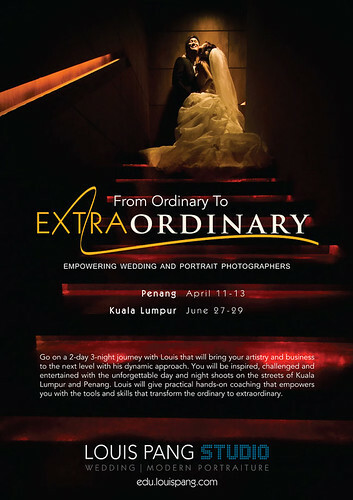 1st place winner of the Wedding & Portrait Photographers International (WPPI) 2007 8Ã—10 print competition, Louis is a highly sought after photographer & educator in Asia. Louis travels to Australia, Hong Kong, India, Philippines, Singapore, Thailand, and all over Malaysia for wedding assignments. He was also appointed an Epson Stylus Pro, an elite fraternity of top professionals who are selected for their artistry excellence and technical know-how in digital imaging. April is definitely a month that I am really looking forward to. I must polish up my skills and my knowledge to be a better photographer in both the artistic and technical sense. I wonder if I will be able to get my laptop by then, who knows? Previous postHappy Easter everyone, better late than never! what is 'from ordinary to extraordinary' actually? Looking forward to it as well Shen! Cheers!